This article shows false information. 1,000 Kilobytes does NOT equal 1 Megabyte. In fact, 1,024 Kilobytes = 1 Megabyte. Most hardware & software providers have switched over to this new standard, though in practice the mobile networks are often a little bit flexible here (e.g. if they advertise 1GB per month, they’ll normally allow you to use up to 1,024MB which is of course beneficial to the consumer). Thanks Ken for the information given on this very helpful site. It helped me assess how much data I needed fo a new smart phone, without trying to sell me a network provider. Good advice and useful impartial information for the tech shy user, many thanks. Thank you for creating a website like this. It has indeed helped a lot of people. I have a question though. In April, will be travelling with my wife to London. I will definitely need a data plan for this trip. While I am from Canada, it is not feasible for me to roam my data. I noticed O2 has some good deal for a prepaid plan that has 4GB data. My friend suggested Vodafone prepaid. We will be travelling mostly around London and Edinburgh. Any suggestion on inexpensive plan but reliable signal? I am fine with spending around £20? Thank you again! Thanks for your comment and glad you found the website to be useful! You can see my in-depth guide on Pay As You Go bundle here. In short, I think most of the major networks should give you a suitable deal. I think coverage should also be fine across the major networks in London and Edinburgh, though if you want to double-check for the places where you’re staying, it might be worth trying some of the coverage checker tools here. Six months ago i moved from Vodafone to EE. Since then my data usage has gone up from 500Mb a month, to pretty much 5Gb a month. I use my phone for approx 45 mins / 1hr a day on the way to and from work. And maybe 1/2 an hour during the day whilst on lunch. I might stream, one 5 minute You Tube video a day, but other than that it’s very lightly used, browsing BBC, or a couple of other websites. I just can’t get my head around where all this extra usage is coming from. At home i’m on the Wi-Fi. My phone is set not to roam, photos only upload over WiFi etc etc I’m thinking maybe OneDrive might be the culprit. My phones internal counter pretty much tallies with what EE says, but nevertheless i’m completely bamboozled. Thanks for your comment. It is odd that your data usage has increased so much. Have you tried using your smartphone’s data usage monitor to find out which application has been consuming all the data? Once you’ve done that, you should be able to take action accordingly (e.g. by uninstalling the app or by changing your settings). I’m in southwest France and have just signed up to Free.fr’s new mobile plan. As far as data is concerned, for 19.99 euro a month (about £14) I get a 50 Gb (or Gio as Free call it) allowance. Beyond that, my broadband will be throttled. As I live in the middle of nowhere and copper wire has been giving me only around 750 Kbps, this new plan has been a godsend and I am using the SIM in a Netgear AC785 Aircard which is docked into Netgear DC113A docking station with the latter connected via an Ethernet cable to a TP-Link wi-fi access point. So I now have apx. 70 Mbps download and 20 Mbps upload whci is somewhat better than 750 Kbps! The Aircard has recorded data usage of 19.5 Gb over a period of 15 days, which seems about right to me as I downloaded a 5Gb TomTom map to my phone via this Hotspot, and also a 5Gb update to my TomTom Go during this period. However, according to my account at Free Mobile (which shows me an always up to date record of phone, SMS, MMS and data consumption), I’ve used only 7.36 Gb and have almost 43 Gb left for use over the next 15 days. How can this be? Do you think I’m just lucky and that Free are not counting the data usage properly? Or is there something I’m missing in the technicalities somewhere? 1) It might be possible there’s a delay in accounting for your data usage (sometimes it will take a while to show up on your account). 2) Your billing period might have reset in this time. 3) You might be using some compression software which reduces the amount of data sent over the network. Apart from that, I’m not really sure why the data is being accounted for like this! OK, thanks. I’ll just keep my fingers crossed and wait and see what happens at the end of this billing period in two weeks time! Although data seems to be what is mostly used nowadays, does text messaging (SMS) and multi media (MMS) have a future? Thanks for your comment. I think SMS and MMS are certainly becoming greatly de-emphasised… myself, I haven’t sent a text message in years! Over-the-top apps (e.g. WhatsApp, iMessage and Facebook Messenger) are certainly replacing a lot of traditional SMS & MMS traffic. I think SMS & MMS will continue to have a place going forward but this will mainly be for receiving notifications (e.g. from your bank, mobile network, parcel delivery company, etc) as also as a backup for when other options aren’t available. When choosing a new plan, I’d certainly put a lot more emphasis nowadays on the data. Hi Ken, although I merely stumbled on your web site; thank you for these intuitive and captivating pages, I’ve enjoyed a few hours reading through the exhaustive content (please accept this as a compliment) and will continue to read/catch up on this little goldmine of advice and interaction. hi Ken do you cover apple ipad 3G cellular/wifi questions? i do hope so. i am a HGV driver and can wait around for hours waiting to be loaded and unloaded as long as 4 hours so my ipad is used to browse the internet and watch TV and sometimes a film on Showbox Pro i am contract on EE £20 p/m but they have taken as much as £52 what is using the data most do you think? and is there a better deal out there for me. Thanks for your comment. The information in the table here shows you what is most likely to be using data on your account (short version: chances are your online TV and movies are using the most data). It’s well worth spending some time to find out your current data consumption (this will allow you to reduce it or alternatively to choose a more appropriate plan). Thanks for your comment! I believe Three only offers up to 15GB of data per month on a tablet – the all-you-can-eat data plans are only for use in a smartphone (though they have up to a 12GB per month tethering allowance). Thanks Ken — and apologies for not being specific about the requirements. Having been around the world a few times, I am surprised to find a mobile provider that disallows tethering *and* charges for over runs of the package limits rather than drastic reduction in speed. Congratulations on being the best helpdesk for UK mobile networks anyone could wish for. I have passed your url on to so many people now…. I have an existing Orange sim but only use it for text and calls on PAYG. I would like a package for PAYG which will allow me text and calls and a data limit of about 4Gbs/30 days which will just slow down when it goes over the limit — not charge me lots per MB. This is typical in other countries, but it seems that UK networks have resisted it. Any advice? My existing number is not precious — I can change number or network as needed, but I do need good geographic coverage — I don’t care about population coverage. Thanks for your comment: it’s great to know you’ve found the website to be helpful! Unfortunately, as you say, most UK networks stop your data connection once you go over your monthly data allowance. The good news, however, is you should be able to pick up a fairly decent package with lots of data. 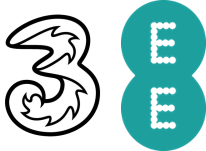 Three’s Pay As You Go service is a really good example: it’s £15/month for unlimited 4G data, 300 minutes and 3000 texts. There are no data limits so you’ll never be charged for extra data on a per-megabyte basis. giffgaff is another Pay As You Go network worth investigating (£20/month for unlimited 3G data, 2000 minutes and unlimited texts). giffgaff uses coverage from O2. With regards to transferring your phone number, it’s actually really easy to do this! You can follow my guide here for step-by-step instructions. I really do not want to take a contract, unless I can get one for maybe 3 months. Thanks for you input, and I hope the answers will help others in a similar fix. You’re right – you can’t tether on either of the packages (sorry, I didn’t know you were looking for a tariff with tethering!). For a quick guide on which networks you’re able to tether from, you can see the article I’ve written here. At present, the cheapest suitable deal is £15/month for 5GB of 3G data including tethering (giffgaff Pay As You Go). You’ll be charged extra for going over the 5GB limit but you’re able to avoid this by renewing the package early. For more than 5GB/month of tetherable data, you’ll probably need to get a contract (e.g. £25/month for 8GB, £27.20/month for 10GB). I am not an avid smartphone user but I have been gifted a One Plus One phone which is a huge upgrade from my current Nokia 301 for which I have a top up arrangement with Tesco Mobile. It suits me as I make very few calls if at all. i am looking for a bundle that is very low on minutes and texts but to use it mainly for internet access and emails. Thanks for your comment. I assume you’re using Tesco Mobile Pay As You Go? If so, it’s possible to buy a monthly data bundle (e.g. 500MB for £5/month or 1GB for £7.50/month). You’ll continue paying for calls & texts at the normal Tesco rates (25p/minute and 10p/text). For more information, see my full review of Tesco Pay As You Go. Thanks for your comment. I’m afraid I can’t tell you whether 250MB is actually enough: it depends very much on how you use your handset. You can use the table here to see how data is used by different activities. You should also try finding out your current data consumption. If you still aren’t sure, consider using a Pay As You Go SIM card for a month. You could then check to see how much data you’ve used over that month before signing up to a longer contract. I’m slightly confused, because you recommend choosing a tariff which provides around 2Gb/month, based on average consumption (ie for all users). The benchmark figure of 2Gb/month averages out at 67Mb/day, but in your review of the Three network an average daily consumption of 10Mb has been used. Please explain how the difference between the two averages of 67Mb/day and 10Mb/day has come about. Great question! The difference between the 10MB and 67MB figures is from the explosion in mobile data usage over the past few years (our review of Three was written a little while ago). My 2GB recommendation is based on statistics here from Three and EE. 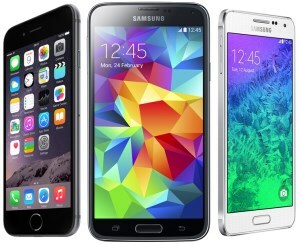 The other reason is data usage varies greatly depending on the handset and plan. Pay Monthly customers getting a new contract tend to use more data than Pay As You Go customers. They’ll also need to forecast their mobile data usage in 24 months time (a Pay As You Go customer can simply & easily change their tariff when they need more data). Many thanks Ken for an excellent, informative article. Especially re. tethering. EE messed up,by home broadband connection & left me without wi fi for the next three weeks (terrible, terrible customer service BTW), so good to learn from your article how much email, banking, browsing etc will cost via tethering. You,would have thought they might have offered me some extra data but no. Would not recommend EE/orange to anyone going forward. Thanks again for your time and effort. Keep up the good work! Great article. Succinctly put. But I’m still unclear how much usage my apps use up when I’m running them. I’m specifically interested in using Google Maps to travel around cities – I use it to find buses and to walk around. It’s great but I now think it’s using up loads of internet usage, given that I can have it on for over an hour at a time. The same might go for an App called Endomondo which tells me how far I’ve been walking around the countryside. How can I tell how much these apps are costing me? I’ve got a Samsung Galaxy S2. Thanks for your feedback on the article! My general feeling is that Google Maps shouldn’t use an extraordinary amount of data (it’s not the amount of time you’re using the app for, it’s more how many different places you’re viewing the maps for). Certainly, if you’re only travelling around in a city then the data usage shouldn’t be much more than a couple of megabytes. To give you an idea, I just downloaded most of Central London using Google Maps… it came to 7MB of data in total (after the first download, it’s saved on your phone for viewing offline). If you’d like to see how much data is actually being used by the apps on your phone, open the Settings app followed by ‘Data Usage’. If you scroll down, all of your data usage should be split up on an app-by-app basis. My children tell me the Nokia Lumia 635 is a decent phone for them and a contract under £10 a month seems reasonable. The best deals I can find have 500MB per month. Is that generally enough (we have home wifi)? Also, if they were to lose the phone what is my comeback on a 24-month contract?, please? Thanks for your comment. The Lumia 635 is a fairly decent handset: 500MB would probably be enough providing they use wi-fi at home and providing they avoid certain activities on 3G (e.g. downloading music and watching online videos). One thing to also be aware of is any overage charges from the network (e.g. if your children go over the monthly allowance on the phone, would you be charged automatically and if so, how much?). If the phone gets lost during the 24 months, you would have to buy a new one (either SIM-free or by ending your contract early). This was very informational. I have never had a data limit and I was trying to see if I really needed to pay the additional $10/mth for one more GB. Thank you for breaking this down. I will definitely refer others to this site. How do you know what counts towards downloads as I though internet browsing uses data? We currently use around 10GB of data each month, download about 10 songs a month, 40 film trailers and other then that just use it for browsing. Thanks for your comment! I’m also a little bit confused about what this actually means and how they distinguish between surfing & downloading. Could you kindly let me know which network is offering the deal mentioned? I’ll try and investigate this a little bit further! I just Googled “the difference between 500 MB and 1 GB.” Your article is the first to come up and I just wanted to say thank you so much. I completely understand now the difference of data and usage and what the heck everyone is talking about. I live in America and I wan to assume that it all works the same here as well. But, you know what they say about assuming. So, is it safe to compare UK usage to American usage? Thank you for your time. This sure does help. Thank you so much for breaking it down like you did. Have a beautiful day! I’ve just had an upgrade to Kestrel 4G Smarphone with EE – with 500MB data. I’m an avid user of twitter, does it eat into the data allowance if I keep it open in the background all day? Also use my phone to listen to FM Radio on the daily commute. I naturally refer to my home’s wi-fi at night. Thanks for your comment. The Twitter app should use little or minimal data when you leave it running in the background. It’ll mainly be using data when you actively read tweets (particularly if open a tweet contains a picture or a vine). Hello~ I have been looking at my son’s data usage and everyday he has been using at least 106.7000 MB’s and sometimes even higher. Can FACETIME use this many MB’s? Websites?? Thanks for your comment. If you’re using FaceTime over mobile/cellular data, it will consume data at a very fast rate (around 3-4MB per minute). Expect to use around 240MB for every hour spent making a FaceTime video call. With regards to web browsing, this can also play a significant role in mobile data consumption. Expect to use around 35MB for every hour spent browsing the web. To reduce your data consumption, it’s always worth using FaceTime on a wi-fi connection. It’s also good to browse over wi-fi if the phone is being used at home. I stopped in a Sprint store. They gave a wi-fi box for 100 dollars with 50 dollars rebate. You can have 1GB or up to 12 gigs. The 12GB package is 80 dollars a month. Now AT&T has a hotspot. Its data is what is in your Family share plan and is 15 dollars a month just to own. It sounds to me like the Sprint has something going here. Or am I wrong… what is the difference between wi-fi and data usage? What’s the difference between wi-fi and a hotspot? very useful summary, thanks Ken. I’m starting from the other end and have an idea for an app. I need to calculate likely data use from a hosting POV. Any thoughts on best way to do this? Thanks for your comment. It’s really difficult to say the likely data usage when hosting an application: it really depends on what resources will be downloaded from the server (presumably, the app itself will come from elsewhere e.g. iTunes or Google Play). To gain an estimate, I’d probably run the app a couple of times and then multiply the data usage by the expected number of users. Many thanks for your reply I will certainly try that. Not being such a tech whizz will I be able to switch off the automatic updates? If it turns out that Automatic Updates are indeed responsible for the high data usage, you can turn it off using the instructions here. I would only recommend following this guide if you’re sure the automatic updates are causing the data usage (otherwise, it’ll make your laptop less secure and won’t actually reduce the amount of data used). Need some help! I have a lap top but no phone line so connect to the internet through a mobile wi fi device with O2. I have a monthly data allowance of 3gb. When I connect the lap top to the mobile wi-fi I start using lts and lots of data straight away even before accessing pages or apps etc. it can use between 50mb and 100mb within minutes! My mobile wifi device shows that only my lap top is connected so isn’t another device using the data. Any ideas? Are there apps automatically updating? I’ve used 1.2gb of data in 4 days! I work all day and only use it for hour or so at night and not even been streaming videos or music, where is my data going!? Thanks for your comment. One danger of tethering or using mobile broadband is that your laptop will often use data without you doing anything. Common culprits are automatic software updates (e.g. Windows Update, anti-virus definitions, Firefox or Chrome) and cloud storage sync (e.g. OneDrive or Dropbox). The easiest way to find the offending application is to press Ctrl+Alt+Del followed by “Start Task Manager”. On the “Performance” tab, click on “Resource Monitor”. Underneath the “Network” heading, you’ll see a list of applications currently using data. Great and very informative article, thank you! I have a few questions. I am in the process of buying a new phone (samsung galaxy S5) off of a contract. The two available options of data usage are 1gb and the 3gb per month. I’m wondering whether 1gb is enough for a whole month, or if it’s worth paying more (around 200$ more) for 3gb? I always use wifi at home, & I don’t use apps such as spotify, skype, facebook etc. Also Most of my time on the internet is spent reading articles or watching short vids etc. Thanks for your comment. It’s difficult to know without seeing exactly how you use your phone – I’d say if you’re using wi-fi at home and if you’re not using data-intensive apps, 1GB per month should be sufficient for your usage. That said, you mention you often watch videos. This can quickly deplete the amount of available data (two hours of video per month or 4 minutes per day will use up the entirety of 1GB). Perhaps the best indication is to see how much data you currently use on your old plan? See the heading “How do I find out how much data I currently use?” in the article above. Thank you , got my first mobile phone . Was wondering what the 500 MB data limit was about. From reading this article , I understand that no data is used when connecting through WiFi , which if true is AWESOME in my situation. Great article , really appreciated !! This is a great website – thanks for all the useful information Ken. Brilliant article, so easily explained! I have just bought a Garmin Satnav which links to my smartphone with an app called Smartphone Link. This allows live traffic updates, weather etc. Obviously it needs to connect to the internet but I’m not sure how much data it uses. I’d only be using it infrequently. I spoke to a Virgin Media rep who told me I’d need unlimited data (expensive tarrif) whereas someone else told me it uses very little data. Does anyone have any advice or information on this? Thanks for your comment! My feeling is that a Garmin Satnav will use very little data – it’s only downloading information related to traffic and weather. At most, it’ll only use a couple of megabytes so you don’t need to have an unlimited data tariff. 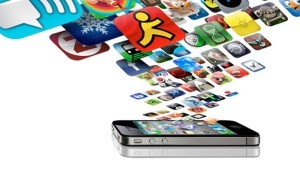 As a rule of thumb, most apps will use small amounts of data. Large data consumption only comes when downloading multimedia e.g. photos, videos, music, games, etc. Really useful – thanks Ken! Hi. I just bought an iphone 4. It came with 500MB. All I do is watch videos and upload photos to Facebook. I rarely use the internet. Maybe 15mins a month. How many minutes can I stay on Youtube just watching videos at once? You can stay logged in to Facebook all the time without any data being consumed. Data will only be used when you open the Facebook website and browse through people’s profiles. Thank you for such a clear and concise article. I now understand exactly what the adverts are saying. Now I can make an informed decision about which new phone to buy. Thanks for all the information useful to smartphone user. I have recently bought a htc one smart phone. I connect my laptop using the smartphone number to viber to make calls through my laptop. If I make a call using viber through my laptop from home will use any of my data allowances. Thanks for your comment. If you’re tethering via your smartphone (e.g. via wi-fi hotspot or a USB cable) then use of Viber will count towards your download limit. You can avoid this by connecting your laptop to a different wi-fi network (e.g. your home network, a work network, coffee shop network, etc). Thanks for this great, informative and very helpful article. I currently have a PAYG mobile with Virgin Mobile and am looking at going for their ZTE Blade 3 phone on a monthly contract at £13 per month which includes 500MB of data but was worried about going over the limit (Virgin do let you know when you approach your limit). Having read your article, using the phone at the Virgin Broadband service through the router at home would be a good way forward, leaving the phones own connection for when away from home. How easy is it to set a phone up to work on both? And is it easy to remove automatic checking / updating to save usage? Thanks for getting in touch. It’s very easy to get your ZTE Blade 3 to use the home broadband connection. As long as you have a wi-fi network set up at home, simply enter the details of the wi-fi network and save it on your new phone. You can do this through the Settings > Wi-Fi menu. Make sure wi-fi is toggled to the “On” position and then tap on the relevant network and enter your wi-fi passcode. Providing you leave the wi-fi turned on, your phone will automatically connect to home broadband whenever it’s available. With regards to your applications, open Play Store from the main menu. Tap on the Menu button followed by Settings. Make sure the “Auto-update apps” setting is either set to “Do not auto-update” or “Auto-update over Wi-Fi only”. This ensures your data allowance is preserved for other things. That was a great easy to follow article and helped me understand quite a bit about download limits and where Wifi can help. Thanks very much. Most interesting article, many thanks. Can you confirm that I could, if I purchase an iphone 4, tether to my iPad 2 when in Europe and in Australia. Or do I have to purchase a SIM card for data in the relevant countries. It’s not always convenient to locate a WiFi Hotspot when travelling. Also do Apple permit the use of a ‘foreign’ SIM card to be used in their phones. You can tether your iPad 2 to an iPhone 4 as long as your network provider has enabled it for your phone. I’d recommend against using your UK SIM card – the data costs will probably be quite high. To reduce the cost, try one of these low cost SIMs for browsing in Europe – alternatively buy a SIM card locally in the country you’re visiting. A foreign SIM card can be used but you’ll need to unlock your iPhone. There’s more details here. Dear Ken found your article interesting and informative. Can you, however, shed any light on why I am incurring “multimedia” charges on my Samsung S2 on Panther 26 with Orange even though ,this month, I have deliberating not used the internet through my mobile phone? Thanks for your message. My guess is that these are not data charges – perhaps they’re MMS or picture message charges. On the Orange Panther tariff, MMS messages are charged at 30.6p per message. If you’ve been sending picture messages, this will explain the charge you’re seeing on the bill. If you haven’t, it’s still possible some of your text messages were converted to MMS before they were sent. The Galaxy S2 is prone to do this – when a message goes over a certain length (usually the equivalent of 3 SMS messages), the SMS will be converted into an MMS. You can avoid this by looking out for the “Converting to multimedia message” notification when writing your message. This is really useful information. Does anyone do the same for Australian smart phones????? Greetings from the UK! 🙂 I’m afraid I don’t know of any Australian sites, though the information above about what 500MB/1GB correspond to should be the same everywhere. You can apply this information to your cellphone plans in Australia (multiply/divide the figures as required). Thank you so much. This is information much needed and easy to understand. your information is incorrect. 1024 kilobytes make a megabyte, & 1024 of those make a gigabyte. Thanks for the comment! According to the IEC definition, a megabyte is 1000 kilobytes whereas a mebibyte is 1024 kilobytes. See http://en.wikipedia.org/wiki/Mebibyte for more information. Unfortunately, usage of 1000 and 1024 is inconsistent within the industry and many people use a megabyte to mean 1024 kilobytes. For the purposes of mobile data, I use the IEC/ISO definition of 1 megabyte = 1000 kilobytes and 1 gigabyte = 1000 megabytes. The reason being that it's better to err on the side of caution and to choose the smaller definition. This should reduce the probability of exceeding your download limit (however your network operator chooses to define it). In practice though, it's probably an academic argument as the probability of data usage being exactly between 1000MB and 1024MB in a given month is quite small. Thanks, this article was very informative and helpful, in plain speaking terminology, probably saved me a packet, just received a new phone and did not realise all the additional costs, download caps etc. There are 1,000 kilobytes (KB) in 1 megabyte (MB) and 1,000 megabytes in 1 gigabyte (GB). This is not true there are actually There are 1,024 kilobytes (KB) in 1 megabyte (MB) and 1,024 megabytes in 1 gigabyte (GB). The SI definition is to have 1000KB in 1MB and 1000MB in 1GB. There are binary prefixes for the 1024 definition – see http://en.wikipedia.org/wiki/Binary_prefix although you’re right in that most people don’t follow this. In terms of data allowances, I think it’s better to use the lower definition just to be safe. I’m on o2. MMS messaging.. Does it get subtracted from my date allowance. Your site is ace. As far as I know, MMS messages do not get subtracted from your data allowance. However, you will need a data connection in order to send a MMS message. Thanks so much for your straightforward explanations. Soooo helpful. I feel much better equipped tomake the right tariff decision for my needs..
Ditto here too. I am 73 and have just got my first mobile phone; as a newbie I find your explanations very helpful, thank you! This information has been a great help. Thank you!! Orange has a limit for "UNLIMITED" calls with Magic Numbers for 3000 min. per month, and some of my friends mentioned, that "Unlimited" internet has a limit of 3 GB per month. It is good to ask what exactly "unlimited" means to avoid some surprise. What an excellent article! Thank you very much for the information. Well done, this answered exactly what i wanted to know. Thank you. Fantastic guide and made this subject very easy to understand. Thank you. Thanks for the reply Ken, really appreciate it! Great site! Hello Ken, great article! Was very confused about all this for a while, but it's now very clear, thanks! BUT (there's always a but) I'm wondering about apps, in particular Viber. You listed skype voice calls as being quite intensive on the limit, with about 30hours per month. Is it any different for Viber? Sorry if this is a silly question!! The figures listed for Skype should be fairly representative for other VoIP applications such as Viber! Bear in mind these figures are rough however: it depends on things such as the quality of reception and the bitrate of your phone call. Thanks Ken, it is really helpful. after reading your article, I become confident to decide. say i had the twitter app logged on and in use alot would that use/effect my data allowance? Thanks I'm such a techno phobe! Your site is really imformative and you have been really helpful in responding so quicky. A huge thank you and please keep this information site going! I have just got a Samsung Galaxy 11 and have broadband is it just a case of switchinbg the wi-fi on and then does all downloading and internet usage go through the wi fi and not the internet provider? I'm a bit confused with how it works. Yep! When you're connected to a wi-fi network (there will be an indicator in the notification bar at the top), all downloading and internet usage will go via wi-fi rather than your mobile internet connection. I have a question I can't find answered anywhere. Next week (5 and 6 June, 2012), we want to broadcast a live event for 24 hours via the Livestream website. We did this last year for 12 hours and it was brilliant. We did that one from our house, over our own broadband with a dinky webcam. This year we are doing the event from a public place where there is no internet available, so we are considering a dongle. However, we can't work out how much MB's this will use and we do not want to pay a lot. We only want the dongle for one day, so were considering a one-month plan, but the usages they offer seem so low. Any suggestions (rather quickly!) what we can do? Thanks!!! It very much depends on the bitrate that you choose to broadcast with! My recommendation is to download a bandwidth metering programme for your PC (e.g. tbbMeter) and then doing a test run for 15-20 minutes. Multiply this up to find out the amount of data that it'll consume. As a rough guide, you could use the figure for Skype video calls in this article, though this isn't reliable as it'll be substantially more if you're doing HD video streaming. Thanks for a fantastic website. Very straightforward, understandable and informative. My teenage son has just discovered the wonders of Skype and I was concerned about the cost of it eating away at our internet usage. I didn't understand how it all worked until I viewed your site. What an education! Thank you so much for putting my mind at rest. why dont mobile companies charge internet usage by the minute? this would be far easier to keep tabs of your usage? surely there would be no additional cost to them, after all connecting to the internet is just a phone connection! If i make a voice call & dont speak but remain connected I am charged the same as if Im talking all the time! htc wildfire . i will be using phone to watch bbci player and sky go. i have 1 gig. how long will i get before the gig expires. i have unlimited browsing and the gig is for download. IM shouldn't really use very much data at all – off the top of my head I'd say a maximum of 0.5MB per day even if you're using it very heavily. This assumes you aren't doing things such as sending voice messages, sharing photos and other files through IM, etc. I suspect that the videos and perhaps automatically updating apps could be leading to the heavy data usage. I don't know what the quality of the videos on Workout Trainer are like, but the figures for YouTube videos in the article above should be roughly comparable. Your Plan comes with 300 minutes, 500MB mobile internet, 1GB BT Openzone Wi-Fi and unlimited texts, whats the difference between 500mb mobile internet and 1gb BT open zone? i thought it was the same thing. Thanks for your comment! 500MB mobile internet refers to data transferred over 3G whereas 1GB BT Openzone refers to data transferred when connected to a public wi-fi hotspot maintained by BT Openzone. Typically you'll be making use of the 500MB over 3G: the separate 1GB allowance only applies when you deliberately connect to an Openzone hotspot. Thanks for the message. Unfortunately, MMS messages will be charged individually and are not included in your allowance. You can copy your text messages to the SIM card on your Nokia C3-01: see this article for more information. Text messages saved on your SIM card should then appear on your new Galaxy Ace! Thanks this was really useful. I am new to getting internet on my phone and when I recently upgraded I negotiated unlimited internet with T-mobile. However it turns out that actually they mean unlimited browsing and 250mb download limit. I have spent ages trying to work out if this will be enough for me. It is so irritating that they just wont be upfront about these things right from the start. Thank you for making sense of data allowance. Very informative and explained very clearly. Excellent article. O2 do not automatically charge you a pound a day if you exceed you allowance, the Â£1 a day charge is for pay and go customers who don’t have any data bolt-on. The allowance with pay monthly is capped, if you reach 80% of your data o2 will send you a text, if you run out of data you will not automatclly be charged, you can add a one off monthly bolt on to keep you going. Otherwise use wi-fi whenever you can, if you get into the habit of connecting to wi-fi this will save you monthly data for when your out and about, 1GB is a lot of data 100,000 web pages roughly. Ken? Thank you very much indeed. And congratulations on a fantastic page. You anticpated my every question and with time-saving links. I'm really pleased that the page was useful!! Just got off the phone to a Vodaphone sales person, although he was very friendly, I knew he just wanted the sale! I did upgrade to 500mb (after being ripped off last upgrade) So this site was extremly helpful! Thank you for breaking it down into words we can all actually understand and trust! By the way, bartering works! I got a good deal! Hi. I'm planning on buying the new Sony Ericsson Xperia Arc S White, as I'm using my current phone mostly to take pictures and it's dying. I'll use my new phone mostly to call/text and I will be editing documents. This is going to be my first smartphone. Can you pease help me work out the data I need? I usually check my emails about 4 times per day, go on facebook 4 times/day and upload 5-10 videos and 20-30 pictures every week. I google information, looking at maybe 50 pages/week. I don't know yet if I'll use any apps, I don't think I'll be interested that much in them (say I'll get 2-5 apps a month on average). I'll also use some sat-nav on it (same 2-3 times per month for 15-30min each). There are plans out there for 100Mb, is that enough or should I get more? I've never been on contracts before and am a bit worried I might not get the right level. Thanks in advance for your help. I'd recommend getting more than 100MB – this may not be enough for your usage. Try a 500MB data plan – this should probably be OK unless you upload a lot of photos and videos. If you upload *a lot* of photos and videos, I'd recommend having a look at Three's all-you-can-eat data plans! Thanks Ken you are a great big light in a mobile world of darkness. much Spanish , reading through the smallprint, it states via google translate..? Voice interpersonal 24h: Includes 300 min / month, unlimited calls and call set free. Traffic is priced in seconds from the first second. Rates valid to and nationally. So question? am Limited or not? it states max speed???? My partner has just received a mobile phone bill for £9316.84 in VAT from vodafone. It turns out his 15yr old son was streamlining youtube without realising how much it cost. There was no attempt from vodafone to contact the bill payer at any stage. What do you think would be the best course of action in this case. He has had the phone since May without ever once going over the limit. We are very, very worried. Thanks for any advice. I'm very sorry to hear about your situation. I'm afraid I can't really comment as I don't know the details of the situation nor am I a lawyer, but I'd say the best immediate course of action is to contact Vodafone – I'm surprised that the credit limit on the account was high enough for the bill to be able to reach £9,300. The next step would be Ofcom and consumer rights organisations such as the CAB if there is no luck pleasing your case with Vodafone. Thank you for de-mystifying this subject for a non-techie! 1. Many people ask about Skype calling. According to Skype, a typical call has a 50kbit/s bitrate. Our testing on a Galaxy Nexus showed it showed it used around 70kbit/s. A bit rate of 70kbit/s would amount to 0.55MB/minute and hence 500MB = 15 hours. 2. Many people ask about downloading applications. Applications vary in size quite a lot, but we downloaded the 20 most popular free applications on Android. In total, they came to 121MB. For this reason, we've taken the average app to be 6.1MB in size. Hence 500MB = 80 apps. Good article but one small thing that always annoys me when I see it, it's actually 1024 Killobyte and 1024 Megabytes in a Gig. Thanks for the comment! It's a little known fact that the IEC (International Electrotechnical Commission) standardised on 1MB = 1000KB and 1GB=1000MB in 1998. They also defined some binary prefixes so 1024 bytes = 1 kibibyte, 1024 kibibytes = 1 mebibyte, etc. Though you are correct in saying that usage isn't consistent across the industry so it could actually mean either! I'd say the definition of 1,000 is more useful for this purpose – sticking to 1000 rather than 1024 means you won't inadvertently exceed your download limit! You'll get an icon in the notification bar at the top of the screen to show when wi-fi is connected, and also the signal strength. As well as this, the name of the wi-fi network should be displayed on the home screen. If you see this, you can rest assured the internet traffic is going over wi-fi rather than 3G. Thanks for this clear, succinct article. I'm hoping to switch to a smartphone soon and found this article, and the comments and your response to them, extremely helpful. I think 500MB should be fine providing you don't use your phone for downloading music, videos or for voice over IP (e.g. Skype). For Facebook, email, train times, cinema, etc. you should be absolutely fine with 500MB! T-Mobile's £20 for 6 months deal comes with 500MB allowance per month. The link between time online and data usage isn't exact but I'd say you should be fine with 500MB/month unless you download/stream music or video or make voice over IP calls (e.g. Skype). The average user consumes around 250MB per month. Thank you!! I also thought that the usage was a bit high for a week but i turned it off for a few days and now its gone back to 0mb usage so i'll check when my bill comes through if it was for that or not! Thanks so much again! No, there shouldn't be any substantial differences between iPhone/Android – it's more what you do with your phone that counts. So the increased usage is probably due to the fact your iPhone is so new and you're spending a lot of time playing with it and downloading new apps (whereas most people settle down after a while of having the same phone and download fewer apps). Hi, I hope you can help clear some things up for me as i'm a little confused! I got a samsung galaxy on my first ever contract (with orange) last week with 750mb internet usage. ive mainly used the internet for facebook, twitter and the occassional browse but not constantly or for downloading music, watching youtube videos etc. (Luckily) I thought I should see how much i've used and found that i've already used up the allowance and my usage now totals £2.75. I don't think I've used the internet that often to use it all up but what i wanted to check is whether the additional charges are, for example, an additional £1 per day if I continue to use the internet or if i stopped using it until it resets, whether it will add on a £1 a day regardless? So in other words, is it £1 per day charge for going over the allowance and therefore a massive charge at the end of the month on top, or a £1 per day extra on top of the normal monthly charge to use the internet if you wanted to once the allowance is reached? I'd really appreciate some advice on this, and also how not to go over the allowance again!! If it is indeed data usage you're being charged for (I'd be surprised if you managed to go over 750MB in a week with that usage pattern), it's a charge of £1/day for the days which you use the internet. If you turn data off on your Galaxy, there will be no charge. Simple and to the point very good site I will pass it on. Is 5 gig a month enough, just for browsing the net for about 5 hours a day, whats apping constantly, msning and emailing? I just want to leave the 3g connection on permanently. How much data would that eat? 5GB should be more than adequate for those things! If I buy into a prepaid plan that offers 750 minutes of talk, text, and data, am I correct in assuming that however long any internet page takes to download will be how many minutes is subtracted from the plan? Nope. Internet pages will be subtracted from the data part of your plan (however much data it takes to download that webpage)! Many thanks for clear and concise article. if you want a bargain use giffgaff(02) network £10 per month pay as you go 250 mins unlimited texts,and unlimited internet no download limit AND NO FAIR USE POLICY AT ALL…………..
thanks………i was considering which monthly plan to get (500MB vs 1GB), and now I know, very well explained. Can anyone help , Im on o2 100mins unlimited uk texts for £15.32 per month. When i log onto "My o2" it tells me that my daily limit (Data Usage) is 100MB it also says that i can use data at my standard rate (What is this?) but i will never be charged more than £1 per day. Yesterday i deleted all my APPS, turned off background Data Usage in the settings and finally turned off my phone. When I checked at 11pm last night I had used 1.4MB of Data and had been charged 85p. Today I have already been charged another 85p (Phone is turned off exept when checking data) my Bill for last month was £52 ? Does this sound excessive. The phone is an LG Optimus. If i am going to be charge 85p (+vat I expect) for not using anything then why is this offered as a £15p/m tarriff? It sounds like you don't have a data package with your contract which explains why you are being charged up to £1/day for internet usage. Best thing to do would be to call up O2 and switch to a tariff with inclusive internet! Thankyou for your helpful advice! A good deed indeed! This is an amazing easy to understand web site! Thank the lord someone has taken the time to do this! I am considering upgrading to my first ever smartphone from a VERY old Nokia 1100 so this article has been extremely useful. At best you're looking at an hour's viewing for 500MB, they may compress the signal somehow for mobile but personally I wouldn't be using SKY Go on a mobile device, except over WIFI. my contract is supposed to be £20 a month but for the last 3 months it has come in at £60. I rang vodafone up to ask why it was this price and they said my blackberry makes an update every night at 12 and becuase internet wasnt a part of my contract i was having to pay 89p every time. I was not made aware of this when i brought the phone..am i entitled to ask for the money back? I'm afraid I'm no expert on consumer law – sorry. Vodafone have a valid argument in that your phone was using data services and so you should be charged. You may also have an argument in that you never authorised the use of the data service and that you were unaware of the use. My suggestion is to disable the automatic update at midnight to prevent further charges – whether you want to go further and to dispute the additional £40 worth of charges is something I cannot advise on! if you downloaded a free app and then you go on to play it then it wouldnt take your megabites off , will it ? and if you hook it up the the wifi it wont take megabites off will it? It might or it might not – it depends on the game! If you're connected to wi-fi, it definitely won't come out of your mobile internet download allowance. Thank you for this, very helpfull! thanks for this but im still insure – im getting a phone in a few days and theres this deal on an android phone which gives me 250mb free of internet a month. if i do get this phone i will only be on facebook and downlading free apps , will 250mb be enough?? also when you download free apps and then u go on to play it , it wont take ur megabites off ,, will it ??? I'm afraid it's so hard to say – every single app will use different amounts of data so there isn't a universal answer. Do you have a specific one in mind? thankyou for that but im more to the question : if you download a free internet app will it take off your megabites or not plus when you hook it up to the wifi and you are on apps or facebook that wont take away megabites will it ? hi im getting the samsung galaxy ace , and when i top up £10 i get 500mb internet and i am at home alot of the time , i have wi-fi so when i connest to it will that 500mb decrease ??? Any downloads over wi-fi will not count towards your 500mb allowance. I know this is an old article but I'd just like to point out that O2 customers are only charged up to £1 per day if they do NOT have an internet allowance (bolt on). Once the monthly limit is reached your mobile data speed is simply slowed down until the next month. Otherwise, great article, very useful thanks! Many thanks for your comment! The article should say that the excess charge on O2 is £1/day although it's possible something has been left out – if you can spot anywhere in the article with the old prices please let me know! Thanks for the kind words! It shouldn't do no: GPS positioning alone shouldn't use up any data – that said if the application does things such as automatically downloading maps of your current location that would eat into your allowance. For a sports tracker application I'd say it would be very unlikely to use very much data! Brilliant article, I understand so much more now! Just 1 quick question, will using a sports tracker/sat nav type application eat into my allowance considerably? Hi Ken, I've recently got a contract phone, £20 per month with 250 mb. My monthly bill was over £41 last month but I barely use it. I do receive about 25 emails a day but have only ever replied to one and have looked at FaceBook and internet a couple of times. Not sure why my bill is so high, perhaps I have something switched on that is using up all my mbs? I checked my usage this month after one week and had already used up my allowance! Sorry to hear about the problems you're having. My first recommendation is to make sure you use wi-fi at home: this should cut your data usage substantially. 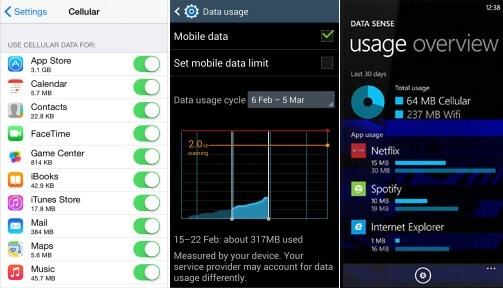 Secondly, monitor your data usage using something like 3G Watchdog (for Android devices). You can set up this application to alter you or automatically disable your internet connectivity when you reach a certain point (e.g. 225mb). Hopefully this application will help you to work out why you exceeded your data allowance last month: for example it could be that you've downloaded a software update or several large applications from App Store/Android Market over 3G. Am i right in thinking this will be ok to use Facebook daily, read the few emails i get and occasionally check cinema times? I have wifi in my home so at home it will connect to that. But out and about will it eat into my allowance as its a smart phone?I.e, be connected to the internet all the time, or will i have to keep turning it off and on again? Yes you can… if those are the things you use your smartphone for, and especially with wifi at home, no need to worry about a 750mb data allowance. Things like online radio, YouTube, music downloads, etc. are the only things you really need to worry about – those are the things which eat up your data allowance very quickly! Yeh really helpful, good to get some figures actually in front of you and in black and white. I'm planning on upgrading to an I-Phone with 750mb allowance but just need to make sure im not getting conned. My current contract for my vivas is consistantly high but i reckon this may be down to the fact that no data charges are even considered in my contract, and standard data charges are given? I only really use the internet for facebook and football scores, so i'm slightly puzzled as to how my bills are often quite expensive. Hi Ken. Really helpful articale. Thanks for your comment. Adding a data bundle sounds like a reasonable solution – however make sure it's a BlackBerry data bundle. BlackBerry devices cannot be used with any old data bundle – more info here. BBM messages can only be exchanged between BlackBerry users. They are free of charge. SMS messaging is still important for contacting friends who don't use BlackBerry. An alternative application called WhatsApp is similar to BBM but can be used on Android and iPhone devices too. And you are correct 🙂 Skype and YouTube will use up 3G data allowances *very* quickly; but Facebook and Tumblr should be fine. If Skype and YouTube are used over wi-fi, it doesn't count towards the 500MB limit on 3G. I'm thinking about swapping to '3' but concerned about coverage. I'm based on the south coast in Sussex but regularly travel into Wiltshire, Hampshire & Yorkshire. Anyone experienced any problems. But I've just bought a blackberry on virgin with 1GB of internet a month and I'd like to know if there's any way in which I can check to see how much internet connection I've got left. Is there a way?? I've never tried it myself, but there is an application called "Network Traffic Control" in the BlackBerry App World which promises to measure the amount of data you use. If you give it a go, please let us know what you think! yikes – I had no idea radio would use up so much… won't be using that again without wifi! Glad I hadn't yet sent that angry email to Three!! how easy is it to switch between data usage and wifi at home? does an iphone do it automatically when in range of home wifi? thanks. If you leave wi-fi turned on then your phone will automatically connect to a wi-fi network. However, many people choose to disable wi-fi functionality when they're not using it to extend battery life. wow! This article is amazing. much better then standing in a shop for hours on end asking all of my questions and remembering nothing when i come out. Would just like to ask, i have been thinking about getting the i phone 4 on a 3 mobile contract and unsure if 500mb would be enough. as im going to uni in september i can easily connect to the wi-fi on campus and also connect to the wi-fi at home and therefore not use up and of my 500mb a month. The only places i would use my MB up would be on a bus or out and about where wi-fi isnt available. Is this correct? And do you think in my case, it would be wise to go for 500mb? Thanks for the kind words! In general, 500MB per month should be plenty providing you don't download/stream music or video over 3G – you'll need to save those things for when you have wi-fi on campus or at home. Things like Facebook, Google Maps and browsing the web alone shouldn't take you anywhere close to 500MB so I would say it's fine! That said, it might be worth looking at The One Plan if you're looking for some reassurance with no download limits. When you say downloading video (example iTunes, not watching streaming video such as YouTube) does 1 hour mean the download time or the length of the video? Thanks. The figures in this article refer to the length of the video as opposed to the download time. Note that we made assumptions on the bitrate(quality) of the videos. 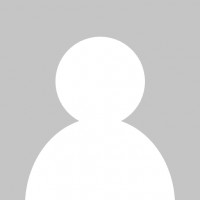 Great post, thank you, quick question – To send an SMS message on a Blackberry curve 8520 I turn on my mobile wireless setting – as I have no reception otherwise… does this use my internet allowance of 500mb up? Is it ok to leave the wireless setting on, so I can send SMS messages? Or do they send without this? Any suggestions asap would be so so so much appreciated as I need to use the phone ASAP!!! Thank you. Many thanks for your comment. Are you sure you're sending an SMS message and not WhatsApp/BBM/MMS or SMS through some application? You shouldn't need to enable data to use SMS!? Hi I found this article really helpful! Can I ask a quick question? – even when i have a wifi connection (at home) it still comes on my bill as using the mobile internet usage,when I know for a fact I have down all my internet browsing through our wifi connection…. do you know why this is? is there a setting on my phone where i need to turn off mobile internet, or should it happen automatically. my phone is set to automatically use wifi when available…. I've just got my 1st smart phone today and am just getting to grips with it. You're advice has been really helpfull as I am so new to using the phone for internet and many people have been telling me to watch out for this and that, so I'm a bit nervous about using it. I have unlimited internet and I need to know if the apps continue downloading (and thus eat up my usage) even when i'm not using it. I will mainly be going on facebook, twitter and my emails. If they do is there a way to stop this or turn them off when i dont want to use them? I really dont know what I'm doing with this do I? Facebook/Twitter/E-mail probably will use some data even when you're not using it (e.g. your phone might automatically download new e-mails). That said, I really wouldn't worry about Facebook, Twitter or E-mail taking you anywhere close to your download limit if you only use your smartphone for these things. It's only really things like music, video, downloads, radio, Skype, etc. where you need to worry about download limits. Having worked in the industry for many years I'm appalled that there is still confusion about GB as Giga Bytes and GB as Giga Bits/Sec. I'm never really sure myself when the mobile providers (or general ISPs for that matter) quote GB whether they are talking about bits or bytes! Also, on a related subject, many mobile Internet users can log into office systems at their place of work using Citrix (or GoToMyPC). Since these systems only transfer changes in the bit patterns of the office screen (or it's pseudo version in a server) down the line and mouse movements, etc up the line wouldn't it be cheaper to access the Internet this way (always assuming their company policise allow them to do this)? Given the overhead of creating the session – I strongly suspect this would be much more bandwidth intensive. However, I recommend investigating applications such as Opera Mini which can compress webpages. This is probably along the same lines as what you're suggesting but with a lot less overhead! You'll be pleased to know that you won't be charged when using hotel wi-fi. However, please make sure you've disabled data roaming to avoid large charges which could be incurred if you accidentally connect to a 3G service (see our top 10 tips for using your phone abroad). Thanks for this article. I am a bit of a technoilliterate and it has been hugely helpful in explaining some basic terms. I want to upgrade my phone to an iphone 4. However, I want a £35 tariff that I currently am on and I really don't want to pay very much for the phone. I notice that Three is offering a 1GB deal on an iphone 4 for £35 a month and only charging £35 for the phone which looks pretty good to me. I wonder if there is a catch – what do you think? Also if i download applications such as games and have them stored on my phone – will I use up any MB's when I play games etc.. etc.. Thanks for your comment! For a review of Three's £35 tariff (called The One Plan), see our review here. With regards to games… *normally* they don't use very much data. Some games will use data but this varies depending on the game and what kind of features it incorporates. However, I would say that you most certainly shouldn't worry about data usage from playing games stored on the phone – it won't eat up a significant amount of data. Probably 1MB tops. Technically a megabyte is 1000 kilobytes whereas a mebibyte is 1024 kilobytes. More info at http://en.wikipedia.org/wiki/Mebibyte. However, usage is inconsistent within the industry and many people use a megabyte to mean 1024 kilobytes. For the purposes of mobile data, we suggest using the ISO definition of 1 megabyte = 1000 kilobytes and 1 gigabyte = 1000 megabytes. The reason being that because it's ambiguous what your mobile operator actually means, confining yourself to the lower limit will ensure that you don't exceed your download allowance & incur extra charges. In practice, this is mostly an academic argument as the probability of data usage being between 1000MB and 1024MB in a given month is very small. I might be getting a Samsung Galaxy Ace and wondering if 500mb is enough. For Facebook, Twitter, Youtube and maybe an occasional photo upland. Enough? For Facebook and Twitter – 500MB is more than enough. Occasional photo uploads should be OK (I presume you won't be uploading more than 40-50 per month). For YouTube videos, it might not – see the figures for online video in the table above. OK I know I'm a bit thick but age is against me so please be gentle. If I use my mobile for navigation York to London over a period of four hours. How much of my download allowance will I have used? 500MB should suffice for Facebook and instant messaging applications. If you're looking to listen to online radio or watch online video, it might be worth considering the all-you-can-eat package instead. 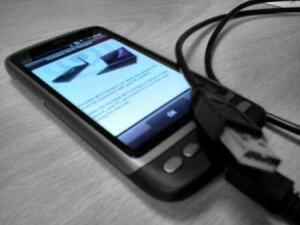 For more info on mobile broadband & using The One Plan for mobile broadband see my write-up here. On the whole, home broadband will offer a much better speed – you will probably find it cheaper to take line rental at roughly £11/month plus a basic broadband package at ~£7.50/month. This adds up to £18.50/month which compares well with mobile broadband given you'll get much better speeds & download limits with home broadband. The One Plan is £25/month. I may sound really dumb by this but my partners sister has the HTC wildfire and her phone often shows a little 3g symbol near her signal bars (she is on tmobile). I myself am on 3 but get the letter 'R' showing, and as far as I am aware have the data roaming settings turned off. How do I know when my phone is connected to the mobile internet? (how do i do this even?) As I am paying monthly for threes text 500 (500 mins, 5000 text, 1gb internet), so far I have only connected to my home WI-Fi but am now worried that i'll get charged a lot extra due to this 'R' symbol which I am presuming means roaming, yet as mentioned I have turned off the data roaming facilities. I have downloaded various free Aps, visited websites using the browser and have my two email accounts setup, as far as i know using wifi only. I have the HTC Desire. Help! – thanks in advanced! Thanks for your comment. I'm unsure about the exact reason – but does the R symbol correspond to the fact you're roaming on Orange 2G? Although they've begun turning it off in some areas, there are still many places where it's active. when it says 500mb mobile web does it mean that you can have unlimited time on the internet until the 500mb runs out or you have to pay for the internet ? Mobile web is charged by the amount you download rather than the time you spend on it. So the amount of time you spend on the internet doesn't directly affect your data usage: only what you do in that time. is this different to the data package or the same thing ?? This is indeed different from a data package for your phone – I believe you're looking at mobile broadband (USB dongle) tariffs. What would be really interesting is to correlate speed of downloads along with data limits. All the major networks 'throttle' their networks according to the price you pay, although none of them publicize their actual or even theoretical 'Upto' speeds. Hi. Can someone help me. I have just got the new I phone 4 and within the network section there are options to enable 3G, mobile data and data roaming. Can someone tell me what these are and the differences between them? The 3G toggle determines whether you can use 3G/HSDPA high-speed data on your phone. This sometimes uses more power than 2G but you'll get much better download speeds. Finally, the data roaming toggle determines whether your iPhone can connect to the mobile networks whilst abroad. Be aware that this will often cost ~£6/MB so it's strongly recommended you have this OFF. Great article, I've been flirting with my data plan limit (1GB) and now realize it's probably those short YouTube videos I peek at here and there. Guess they all add up! Thanks for giving it all some parameters, I'm sharing this with my colleague. Hi found the article very helpful, just have one question. Checking useage on iPhone under Cellar Network Data it has 'Sent' and 'Receive', do I add the two of these together to work out my current usage? Yep, exactly! Not sure if all networks will count "sent" data towards your download limit but usually it's pretty small compared to data received anyway! please can you help me, 1Gb internet , how many hours i can chat or PC to PC calling. Standard chat shouldn't use up very much data at all – they're just text-based messages so you don't need to worry about it. For PC-to-PC calling, do you mean voice/video calls whilst tethering? Thanks for the very useful guide. I'm a low user on 02's Simplicity 100MB a month tariff. You didn't mention using Google Maps as a satnav – how much data would that consume on, say, a one hour journey? Thanks for your question. As I understand it, Google Maps GPS navigation on Android downloads road information in vector format (e.g. it just downloads the route and information on where the roads are, rather than image files of the map itself like some older version of Google Maps do. Hence I wouldn't expect it to use very much data – maybe a rough on-the-order-of estimate 0.1MB per mile. You could download the 3G Watchdog application for your phone, run it on a journey and let us know what you find out though! Thanks for all of your fantastic comments and suggestions. The entire article has just gone a rewrite to try and answer some of the most commonly asked questions: also I've added a dropdown where you can view download allowance information specific to a certain tariff (e.g. for O2 you have the choice between 100MB, 500MB and 1GB when you order your tariff so our dropdown will show you exactly what these terms correspond to). Please feel free to drop us a further comment if you have any questions about download limits! Great article. I just got a new blackberry with a new network, it has a 1gb data allowance. My old BB had BB unlimited, but I only use my mobile for emails and occasional facebook/twitter. I have connected to my home wi-fi and the wi-fi icon is on my mobile. I decided to download the apps I used on my old BB, had a few emails and tried a bit of web browsing, and afterwards I checked my allowance and it says I have used my whole 1gb in 1 day, even though I have been at home and connected to my home wi-fi. I tried calling the network up but after being on hold for 15 minutes and having my call answered by someone who couldn't understand my query, I gave up. Is it correct that my allowance is all used up in one day while connected to my home wi-fi? This is very strange: data through your home wi-fi connection won't count towards your 1GB data allowance. The data allowance applies only to downloads over the mobile network. Please do let us know if you find out what caused your entire download allowance to be used in a day: I don't have any ideas at the moment. does streaming radio go heavy on usage.i luv my internet trance radio. Unfortunately it does yep. You should assume that streaming radio uses roughly the same amount of data as downloading music – around 1MB per minute of online radio. Everything I've been searching for and summarised really well. Hi, i have 500mb of usage on my iphone 4 and wondered what this means in terms of downloading apps? does this mean im using up all my data allowance on apps alone?? Also I bought a tv episode last nights and didnt realise it was 693mb but i was on a wifi network so does this count?? Im a bit worried now about costs!! Hard to tell as applications can vary in size a lot – Angry Birds is 17MB for example whilst many other apps are <1MB. Data downloaded over a wifi network doesn't count towards your 500MB data limit so you're in luck! I've just upgraded to my first smartphone, a BlackBerry with 500 MB of data usage. Your table suggests this equates to anywhere up to 500,000 emails a month, but does this mean both incoming (which I can't control) and outgoing mail (which I can)? And if I receive a mail with an attachment but don't open the attachment, does that save some capacity? Sorry to be so ignorant – I'm new at this game! Yes, this refers to both incoming and outgoing mail. However, chances are your phone won't automatically download every single e-mail – spam e-mail will probably be in a different folder for example and won't automatically be downloaded onto your phone. With regards to the attachment, the attachment isn't normally downloaded unless you open it. Of course, your mileage may vary depending on how your phone & e-mail application is configured. very helpful thanks Ken. I haven't got as far as email folders yet and assumed they would be identical to those on my computer. I'm also most grateful for your tips about data roaming – that's something I would never have thought of and for obvious reasons the mobile companies don't advertise it! although i would like to know the same as Flynn – will staying logged in to a site mean i am using the internet constantly? My question is,: I have facebook and MSN messenger 'logged on' all day on my pc, if I have them 'logged on' on my Blackberry 9700, is this going to use up much data? (I would log them off at night obviousley). It would be cool to see the little red messege alerts as and when they come in on my Blackberry when I'm out and about. these phone type applications programs ? So if i get a Galaxy S with 500mb of internet, i will be able to access facebook and other webpages like that with no limit in my monthly contract? or could i only visit so many times in a month? A brilliant piece of straight talking, it's exactly whatI wanted to know in a very easy to understand way , Thanks. i want to browse FB, occasionally google and use BBM-contract on vodafone would only cost me £20/month with blackberyy internet service-would 1 gb be enough to cover as this is the max allowed?i'd rather pay for more and not use it tbh as then i would feel safer knowing i wasnt running up a massive bill! Yep, I think 500MB should be more than suffice for Facebook and apps! Which network and tariff are you on? Great article….all the answers I have been looking for on one page. I just have one last question. If I downloaded an App of a radio station is listening to that station classed as usage? I have a 2GB limit but only got it yesterday so weary of doing anything at the minute. Yes, radio station apps will typically stream audio through the internet connection and this will count towards your download limit. There is a great discussion of radio stations & data usage at James Cridland’s blog. In short, 2GB would allow you to listen to a 64kbps stream for 64 hours a month. my daughter is using a virgin blackberry 9780 for 3 days and has a 1Gb allowance. she has downloaded 13 songs maybe over the 3G and not wi-fi. Could this take her over her 1gb as i have a bill for £70 in 3 days. Is this possible? Sorry to hear about the huge bill… but 13 songs alone would not have taken her over the 1GB allowance. One song is roughly 4MB to 5MB so I would expect 13 songs to weigh in at around 65MB absolute tops – a long way from 1,000MB (1GB). Is this definitely a data charge as opposed to an expensive phone call? I have just purchased an iphone 4 and have downloaded an app called tunein radio which cost me 0.59 which is no problem as I always listen to the radio but I am worried that if I'm listening to the radio on it that I am using internet data. I've had a quick Google around – it looks like TuneIn radio is an internet radio application so the answer is yes it would. The data usage would be in the order of that for downloading music tracks (listed above)… maybe slightly less depending on the quality of the streams that TuneIn uses. Bear in mind that when you're at home and connected to wi-fi, it doesn't count towards your download allowance… only when you're on 3G. Thank you so much for the help, I am currently looking at the Three plan right now. Thank you so much, happy new year! Pleased to be able to help Boz! I hope you have a happy new year! Wow, so helpful, thank you so much! Unbelievably helpful! I have an iPhone 3GS right now with unlimited internet from a contract I got a year ago, I think that I may use over 500MB per month so my iPhone is absolutely perfect at the moment, I watch BBC iPlayer before I go to bed every night. I want the HTC Desire so badly though! Maybe I should just wait because my iPhone contract I think is 18 months so I should enjoy it for now! It's so annoying how you can't get unlimited internet on ANYTHING now! Very frustrating! I use the internet more than calls and texts! Anyway, what do you think I should do? Thank you so much for the help Ken! P.S. Just another quick question, I want a Phone for music, internet, facebook, streaming and apps etc (like an iPhone). Although I'm bored of the iPhone and am really concentrating on HTC'S, which HTC do you think is the best for me? 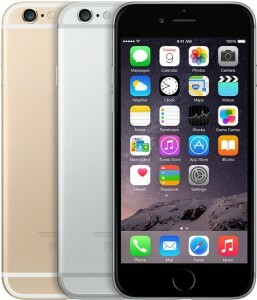 Or any other Phone you think would suit me best? Thank you so much! You'll most definitely go over your 500MB allowance if you watch iPlayer over 3G but you should be OK if you use it over wi-fi. I am thinking of purchasing from Tesco Mobile a Blackberry Curve and like that you can get it on a 12 month contract and not the usual 24 months. Do you have any feedback on this as I believe this is new Tesco Mobile offering Blackberry. It says 1 GB data, 250 minutes and unlimited text and feel that is ample for my usage. Unsure whether to get or not! With a smartphone such as the HTC Wildfire, you'll need an internet package to be able to use most of the features on the phone. For example reading your e-mail, updating Facebook, downloading and using applications, using the maps functionality and the turn-by-turn GPS navigation which is included in your phone. So even if you never open a web browser, you'll still need an internet package. If you really don't use any of those functions, you could disable internet connectivity on the device but you should be aware that most of the functions which set the Wildfire apart from a cheaper handset will not work correctly. Thank you Ken as i find this most confussing so a big thank you for all your help and info thank you and Happy New Year Floss . Thanks for the kind words Floss. Happy new year and enjoy your new HTC Wildfire! Could anybody tell me how i could possibly have used over 400mb in one go, on three seperate occassions?? I'm adamant that there is no way it happened but my phone company reckons it did. I wasn't doing anything new or unusual so i dont understand how this is possible.. In the 3 weeks since my last bill i have been tracking my usage closely and only used a total of 140mb. Is it possible the phone company screwed up? And any ideas on how i could prove that i didnt? Sorry to hear about your situation but unfortunately it would be difficult for you to prove so now afterwards. 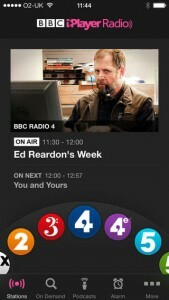 If you've got an Android phone, download the "3G Watchdog" app (a similar app should be available for other platforms). It will allow you to view information on how much data you're using from your phone. You can set it to notify you when you reach a certain threshold, compare the stats from that with your networks stats and diagnose any problemaic apps. My inclination is that it might be to do with your YouTube usage… as far as I'm aware all networks count YouTube usage towards the data allowance and it's possible this could have pushed you over the 1GB allowance. And whilst Three allow free Facebook but this is only to 0.facebook.com… all other Facebook usage is metered. However, Facebook usage alone is unlikely to use up very much data. Jimmy500 ask your phone company to itemise your bill that way this is proof of the useage. I just ordered a internet stick, Rogers Rocket in Canada. Because my only other option in my area is dial up, I am giving this a try. Just going to use the internet stick in my home PC, I signed up for 1 GB. Does Magic Jack require a lot of data? it finished in a week………… didnt watch movies………. i used skype however, n facebook…….. tell does skype use that much of the internet that i buy??? it was a normal call, not even a video call…… plz help me i, need to buy it again………. Just wondering, I have 500 MB and would like to know how much do Skype calls use? why doesnt anyone answer the skype question??? i am desperate to knw…. but no one seems to know or answer??? Sorry for the slow response… I was taking some time off for Christmas! Skype is a real bandwidth-hog. I'm not sure what the bitrate of Skype calls (and I've struggled to find a definitive answer anywhere). The audio quality of Skype calls is lower than that of music but bear in mind that during a phone call you are transmitting audio data both from the internet and to the internet. As a good approximation, you should consider Skype usage to be about the same as downloading music (maybe a bit less). My quick guesstimate is that an hour of Skype calls would use about 100MB so using Skype for even 10 hours a month would use up the entirety of your download allowance. This probably explains why you ran out of internet so quickly. since i needed the info sooo badly……….. i searched n the conclusion of the search was that 1GB gives about 40 hours of skype calls………this apparent rule of thumb ppl have made up….!!!!!?? ……… now i dont knw whats true n whats not,………..
will wi-fi connection abroad count as "roaming" and be chargeable? thanks i think you have answered most of the questions i had. No. Data downloaded over the wi-fi connection doesn't go through your network operator at all. There are no charges for using wi-fi from your phone except from the normal charges you incur for your home broadband service. If you use a public wi-fi hotspot, same again… no charges except from any charges which might be charged by the hotspot provider. Three changed the "unlimited" internet definition to 500MB in May and June of this year. Some customers who signed up in May/June can ask to have their internet allowance raised to 1GB. Three no longer sell packages with "unlimited" internet – all packages are now advertised with the actual limit (usually 1GB). I work at Three and the reason for the change is not that the limits have changed but instead a decision to stop using the word unlimited when it is subject to a fair use policy. Text 300 and talk plans include 500mb, Text 500 and above include 1gb while the one plan includes All you can eat data with no fair use policy at all. sprint has a deal for a laptop that has 500mb and i feel like one trip on the internet with use that up for the month. and considering california doesnt have 4g 'yet' im slightly worried about doubling my monthly bill. Help!!!!!!!!!!!!!! How much does an hour of skype calls use ?! I have 1gb internet usage and i frequently – stream Youtube, watch tv via BBC i-Player, stream worldwide internet radio, use google maps, google street maps, check google for quick answers, wikipedia, about 5 push emails per day, download music tracks, heck oi networks in the day time and once tethered (use mobile as a modem) for about 5 hours and didnt go over. I’d recommend 250mb for light users, 500mb for regular and 1gb for heavy users. if you’re unsure just ask before you sit down and agree to anything. 500mb gets refreshed every month. general internet and facebook will be fine. be carefull with games you download as 1. you have to pay for the actual game itself. If its £3.00, add £3 onto the bill. if the game is free thats ace! 2. Downloading a game will use more data than normal because your downloading it to your phone. 3. some games you can download BUT they connect to the internet to work, even tho you’ve downloaded it you wont physically have it. Just be carefull, read everything before you click on something. Nothing wrong with 500mb on an i phone 4 at all. If there was, a mobile provider wouldnt give you an i phone with 500mb of internet in certain package (usually occasional to frequent users) Ive worked in a phone store for 2years. bbc website is light usage. internet radio is streaming. depends on how often you’d be doing it. to be safe you’d need 500mb. you’re network should provide 500mb, 750mb or 1gb depending on your provider. Guess i cant be seen as being ‘too’ helpful lol. Thanks for your contributions – we really appreciate it! Yes there is definitely a lack of knowledge about download limits here in the UK and I commend you for outlining to your customers what they mean. It's a shame that not all mobile phone salesmen do the same! Thanx for ur useful info!! Has helped me alot! I once worked in a store where 1GB (1024mb) package was available for £5 ($8) on top of a monthly contract but many people didnt want it as facebook and youtube wasn't the "in thing". We pitched it to most customers because it was part of our job. Low and behold a customer ran up an EXTRA £75 ($119) on their bill for about 300mb of usage because they didnt want the add-on. They came in to complain but the customer was responsible for their own usage. I would just like to add that as a mobile phone sales person, i have (for the past 2years) broken down what 500mb, 750mb 1gb internet usage actually entails then relating it to that customer asking what they may use the internet for so they know what they can/cant use and what they will be limited to. I too find it strange when instore colleagues and other phone store staff dont know this info. I found it out off my own back, we've had this product in the U.K for about 2 years. Hi – thanks for the very informative article. Currently I spend a fortune monthly on internet usage and all i actually do is browse facebook. I never spend long on there and can't actually get much of the app up – it's just really status updates etc. I also have 300 mins and unlimited texts in my contract and i stay within these limits. Now i want to go over to an iphone and am wondering if 500mb will be enough. like i say – all i do is browse the odd page or two of facebook a few times a day. i very occasionally look up something on google. that's it. at the minute it's extortionate the extra i pay so i want to make sure i'll be covered. any ideas anyone? Yep – 500mb should be plenty for you if you only check Facebook and use Google occasionally. It's usually pretty difficult to exceed 500MB unless you download music, videos or a lot of photos. I bought a prepaid vodafone internet package that allowed me up to 1GB over the course of 90 days. I bought it 2 weeks ago and it told me I had no more time left and had used my GB. I am abroad in Spain so I Skype with my parents a lot and watch TV on the internet and do research, but it seemed a little ridiculous. I went to ask the people at the department store I bought it at and they didnt really have any idea. Is it possible its incorrect or did I go through my 1GB using roughly 5 hours of skype and 10 hours of television and more hours of internet? Thanks for all the info! Yep – if you're doing phone calls and television, you'll use up your data allowance really, really quickly. See the guide above, and our article about watching online video from your mobile. I must say though… if you're abroad in Spain I would have thought that your internet allowance probably wouldn't cover data usage in Spain anyway. Thanks Ken – this is really useful – actually very reassuring as starting a new contract and was told about the 1GB limit which was concerning at the time, but now it's not!! How can anyone afford to do internet stuff by mobile? It could cost me £150 to check my emails! I have a Nokia 6700 BTW, maybe smart phones are much cheaper to connect? The chances are you probably do have fair usage limits on your contract but this is not why you've been charged this time. It's more likely that you've been charged for roaming internet which costs a fortune. We've got some more info over here and info about how to stop it happening. Hi, thanks, this is very helpful. But I have one more question… How does 1GB correspond to skype calls? I.e. How much of my 1GB allowance is used in a one-hour skype call? And is this different depending on whether I am using WiFi connection or a 3G connection? Thanks very much! Really good article, now I know what the figures actually mean it will help me alot. Hi, I'm only 17 (new to tariff phones and just bought one last friday) and my dad pays for my tariff but i'm scared to use my internet cos i might over use it. My tariff is 300minutes calls, unlimited texts and unlimited internet (but it came up to be 500mb monthly). Now, i've read what it says above but i'm still a little confused about the 500mb internet part. Is this means i can use my Facebook/Internet/Games i downloaded, for 'free' for a month (everyday) and when my first monthly tariff bill is payed i can use it again for another month for free and so on? Plese could somebody reply to this! Thanks! You can use up to 500mb of data every month,check list above for what you can downlaod. Thanks fr ur article. I have few questions. I just got a new blackberry 8520 contract, the data usage allowance is 500mb. If I turn off Mobile O2 Network in my Manage Connection settings and turn on wifi instead, and use wifi to browse and download webpages, will that also contribute to my monthly 500mb allowance ? Are there ways in which I could track my internet usage ? like, just to check how much MBs do I have left to use? If you connect through your wi-fi network, it won't count towards your 500MB download allowance. With regards to your second question, you can find out by logging in to the "My O2" section of the O2 website. In your third question, there is a app you can download called 3G Watchdog, it lets you know how much you are using. When you actually watching the stream video you downloaded, will it separately use up your free GB for downloading and then for watching it? 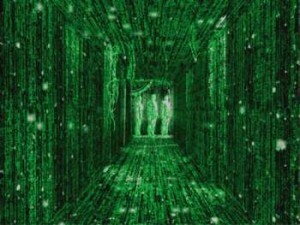 When we say that "download", simply think of that as "data transferred". If you're streaming video from the internet, data is being transferred from the internet onto your mobile phone. This counts towards your data usage limit regardless of whether you are streaming the video or saving it to memory. Thank you very much for this! I had no idea that when it says 'unlimited' there is still a secret limit on usage….i was going to take a more expensive contract as i thought 'unlimited' meant just that. I definitely wont be doing that now! Cheers for really good article! ok, i hate to be so dumb and i know that it sais that with 1GB corrisponds to 3,000 rich web pages. but i am not downloading the web pages so why 3,000, is it a restriction or something? When you browse a web page your computer/phone must download it before it can view it. Excellent article. Saved me a trip to the phone shop to no doubt be confused by a sales person! What about opening say BBC website and then listening to the radio over the net? How much does this use? 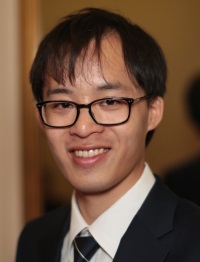 Hi Richard 🙂 The article has been updated with statistics about listening to online radio! brill. thanks for this article! i just browse the web on a 1gb a month what dose it mean /.